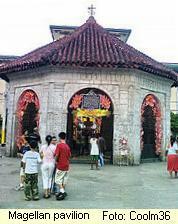 The cross is now housed in a roofed kiosk in Magallanes Street. To protect it further, the original cross was encased in a cross of hollow tindalo wood which still stands today. 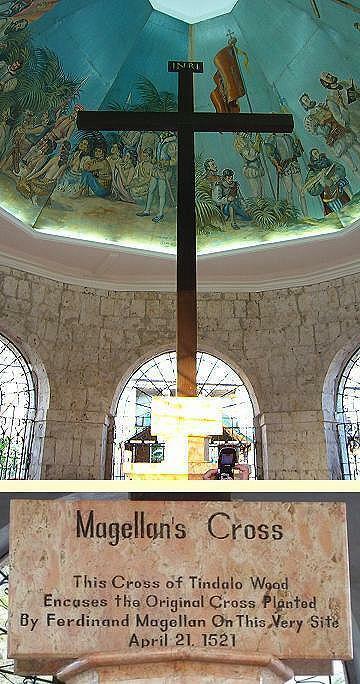 The crypt's ceiling is beautifully painted with a scene depicting the landing of Magellan in Cebu in 1521 and the planting of the original cross on the shore.